Hard to determine the problem exactly without a copy of the document, but I'd suggest you try the following as a quick fix. If it worked, you can just save and over-write the one that's messed up. That did not work Andrew.When I went to lay ou-indent-changed it to -0.25 it worked however when I color background then things get shifted to right creating a gap on the left side. If you remove the bullets what happens? You might have to change the bullet indent. Does the document have any sensitive or personal information in it? If not, please upload a copy of the problematic file so we can take a look at it. *Important Note* Do not do this if the document contains *any* sensitive or personal information in it - or remove all/any sensitive or personal information from a copy of the docx document first, resave and then upload that. This should be easy to solve with a copy of the document to see exactly how it's been formatted. Failing that, copy all text into something that does not support RTF (like notepad), do as I said before but copy the text back from Notepad instead of a problematic Word page. Did you copy this text from the Web somewhere or write it yourself? The former would carry over hidden formatting characters that could cause this behavior too. It does work however when I add the yellow background it shifts things to the right creating a gap on the left. There is another exact copy "good housekeeping" if you add background then you will see it does not cover the whole page. With the document open, select all of the list. This will make your list the full width of your page. That will increase the width of the yellow area and remove the blank line. Instead of changing the fill color for each line of text, set the background color. On the Design tab of the ribbon, find the page color button at the right hand side of the tab and click it. One advantage of this second option? You don't have to worry about the width of any of your lines. 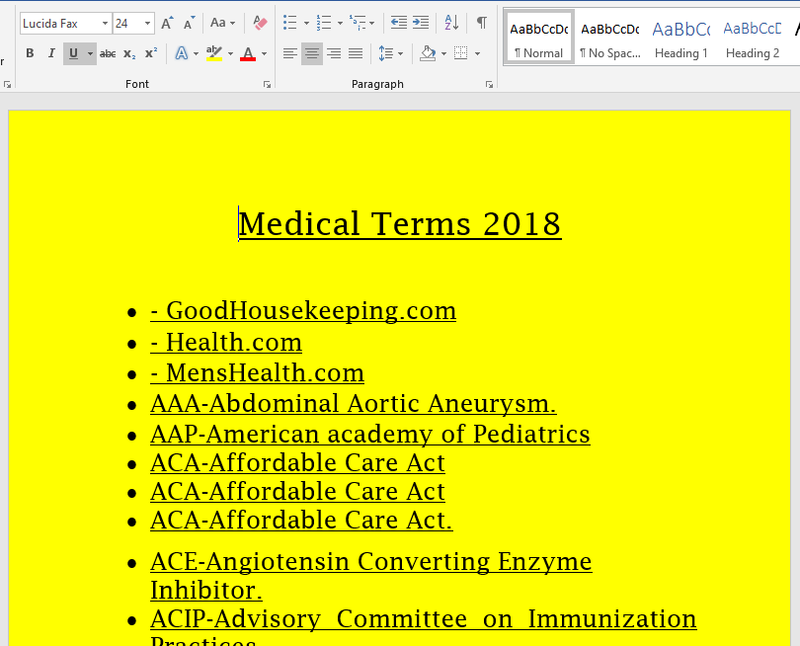 The page is yellow, no matter how wide the content is or where in the ruler it sits. Thanks for the uploads Basem, I'll take a look at them today for you and get back to you. Please download and examine the attached documents. Is this what you are trying to achieve? If so, let me know and I'll give you step by step instructions on how to do it. Only took a few minutes to do here so you'll just need some step by step instructions with a couple of screenshots to learn if all is as you wanted it. Find the entire documents to download attached below and let me know if there is still anything amis. Let me know if you need instructions to reproduce it for yourself and I'll comment again with screenshots of the steps. Alternatively, feel free to make a template from the attached document(s) to use for future reference. Up to you.